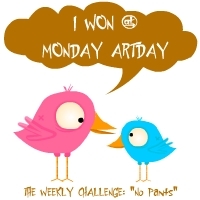 This illustration for “no pants” won the Weekly Challenge Award for the week ending August 12, 2007. 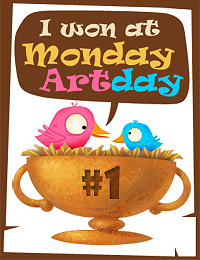 I was also the Monthly Winner for December 2007 on Monday Artday, based on submissions for the month. 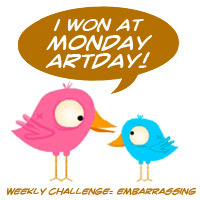 This illustration for “most embarassing moment” won the Weekly Challenge Award for the week ending January 20, 2008. 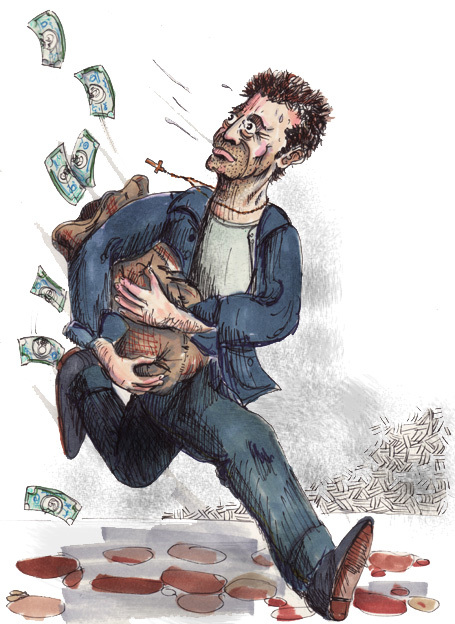 This illustration for “money” won the Weekly Challenge Award for the week ending May 21, 2008. 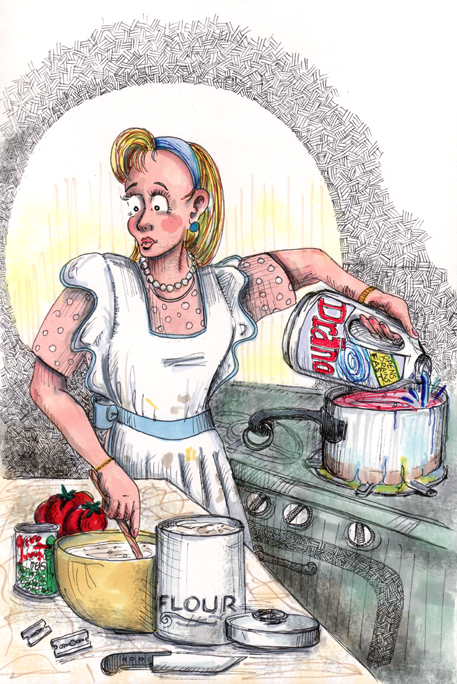 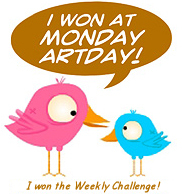 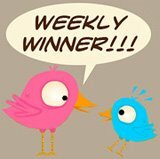 It looks like this illustration won on Monday Artday for the week ending January 26, 2009. 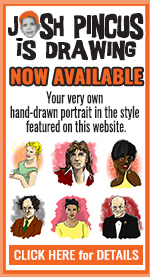 The topic was “telephone”. 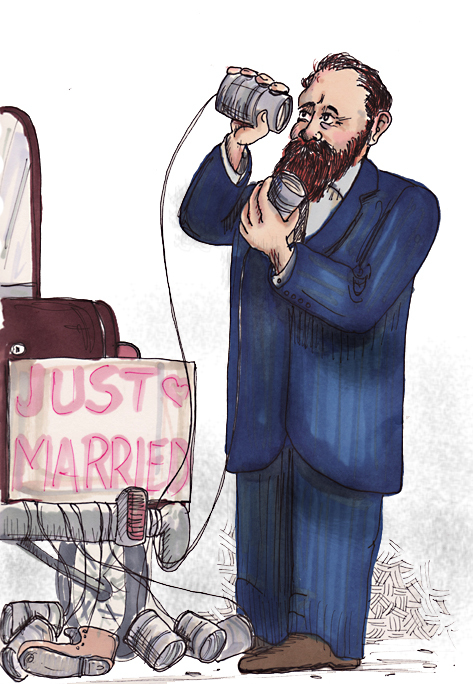 While attending a friend’s wedding, Alexander Graham Bell is inspired.